Édition Agence Editoriale Inutile Dulci/ Fabrique des Illusions, 1998. 120 copies. 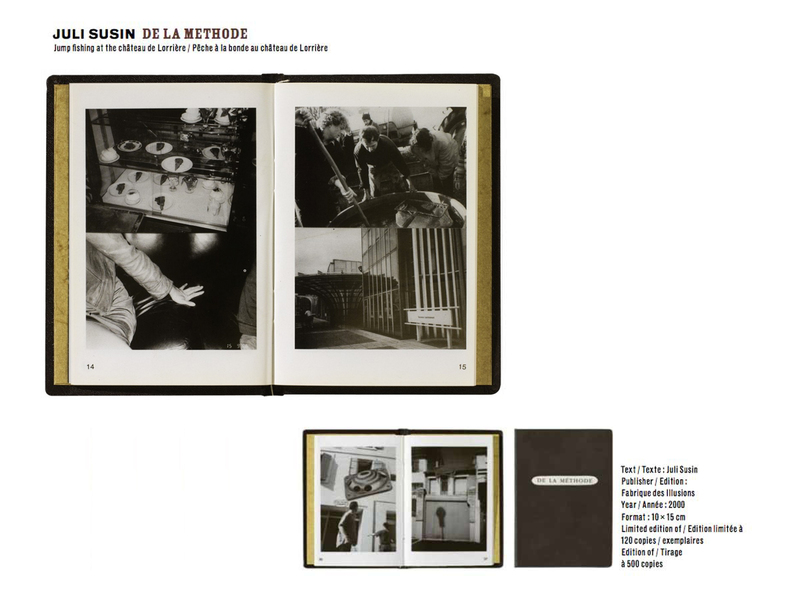 A montage of photographs taken during a pond fishing trip, organised by Henri de Bresson, Gilles T. Lacombe, Juli Susin, and their friends at the Château de la Lorière, followed by a gastronomic workshop. The book takes a documentary approach to the various phases of this event: at the edge of the pond, in a park, in a Japanese restaurant, etc. 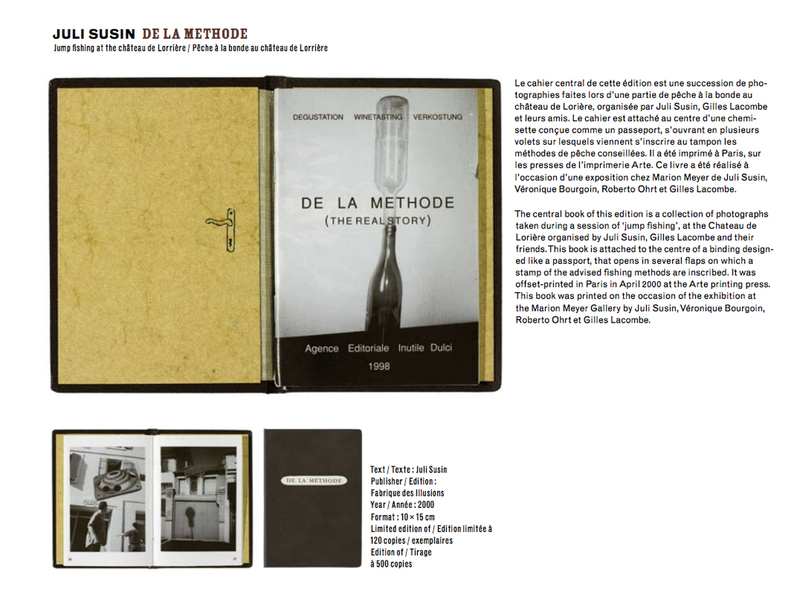 Designed as a passport, the books opens in several parts upon which recommended fishing methods are rubber stamped: the isotropic method, the constructivist method, etc. The design of a door handle is stamped on the inside cover. The book was printed in Paris, by the Arté printing press. With Prager Kreis. 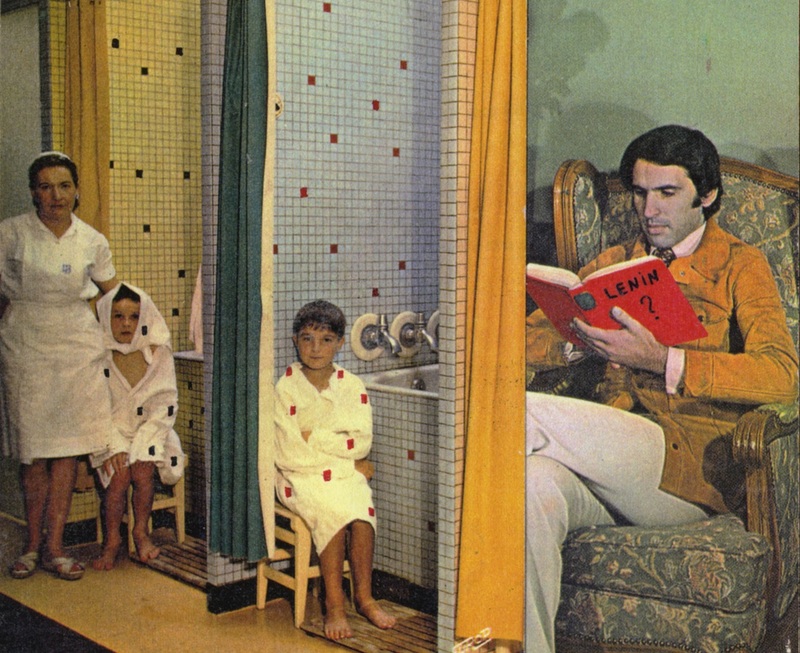 Édition Cosa Nostra Expérimental, 1994. 52 copies. 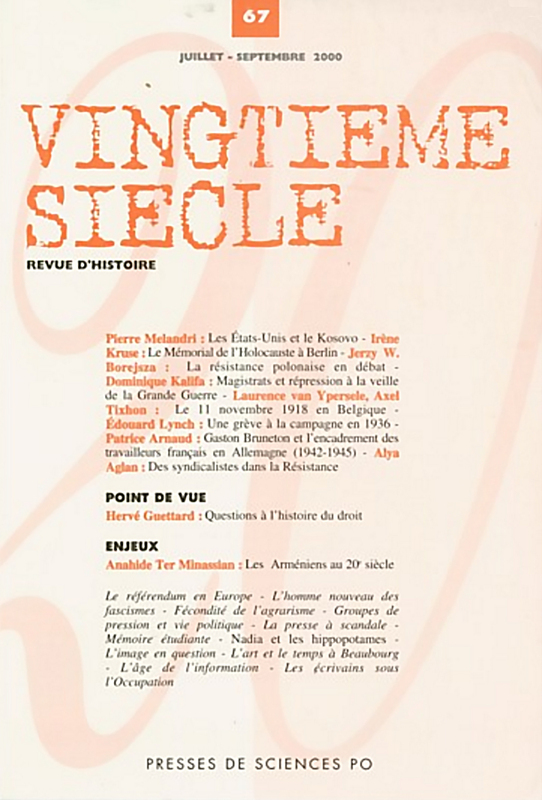 Brochure prepared by Mr Suzuki during a presentation at the Impasse Mousset in February 1994, featuring contributions by Véronique Bourgoin, Gianfranco Sanguinetti, Juli Susin, and Gilles T. Lacombe. 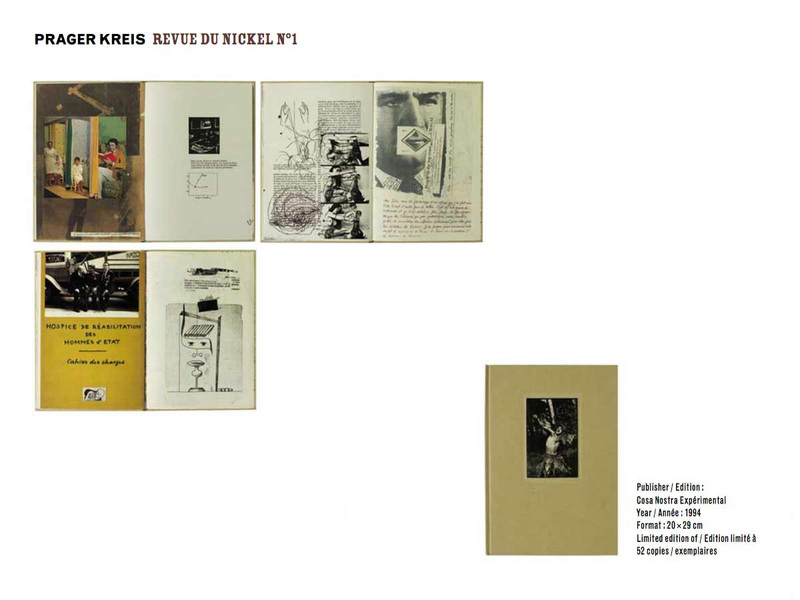 Collages and texts associate the events of the winter of 1994, a laboratory of ideas behind the creation of the Pragerkreis and the Fabrique des Illusions. The full canvas cover is illustrated by an original photo by Anatoli Susin hunting in the mixed forest not far from Moscow. Each copy is decorated with an original drawing. 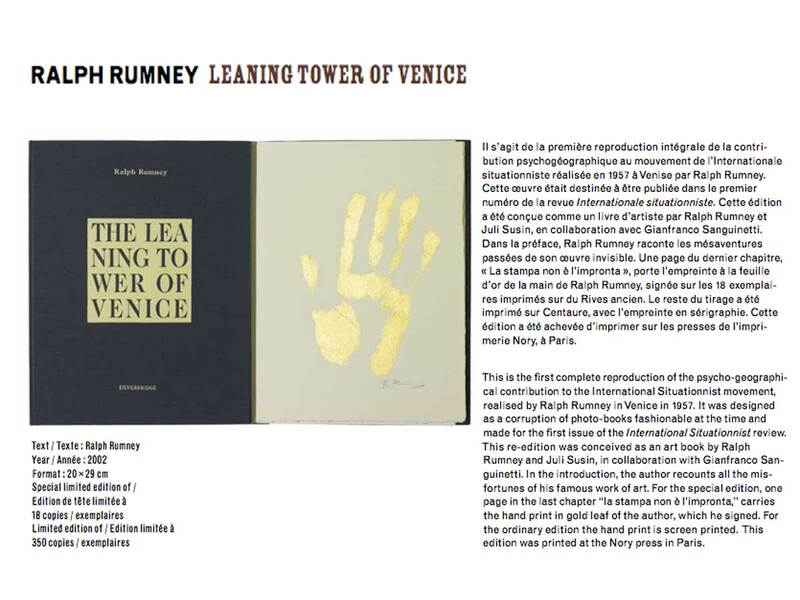 Ralph Rumney. 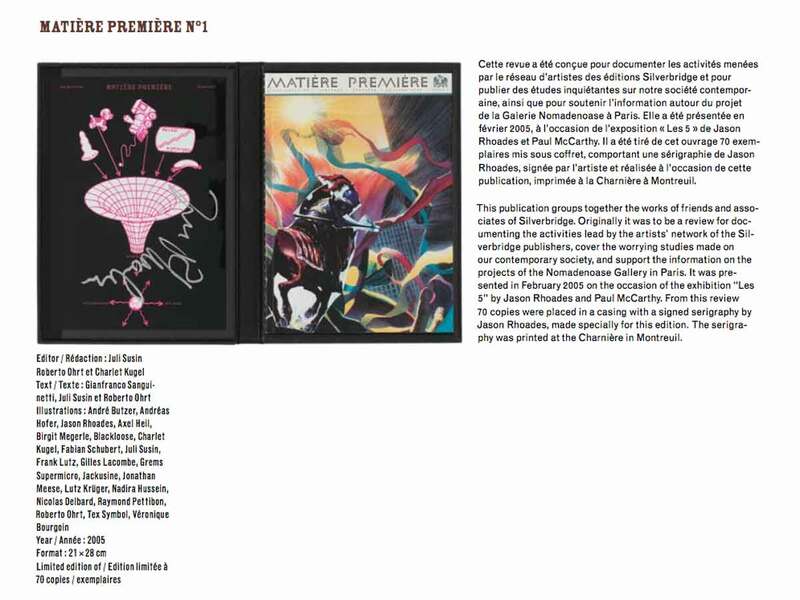 Luxury edition on wide margins, numbered up to 18, adorned with a gold leaf imprint signed by the artist. 350 copies.